What was previously an allegation of sexual misconduct against Brett Kavanaugh by an unidentified person — without a lot of details or evidence — is now backed by a name, a specific allegation and therapist's notes. A senior Republican official involved in Kavanaugh's confirmation privately admitted to me that they felt queasy when they read The Washington Post story. Driving the news: There was one sign Sunday that these allegations could actually derail Kavanaugh's confirmation to the Supreme Court — which was previously a sure thing. Jeff Flake told the WashPost's Sean Sullivan that the Senate Judiciary Committee should wait to hear more from Kavanaugh's accuser, Christine Blasey Ford: "For me, we can’t vote until we hear more." Why it matters: Doug Jones' special election victory late last year gave Democrats an extra seat on Senate Judiciary — there are now 11 Republicans and 10 Democrats — meaning that Flake's defection could stall Kavanaugh's confirmation process. Since the story broke, I've spoken to four sources close to the Kavanaugh confirmation process. All were defiant and sought to raise doubts about the accuser's credibility and the holes in her story — though none were willing to do so on the record. 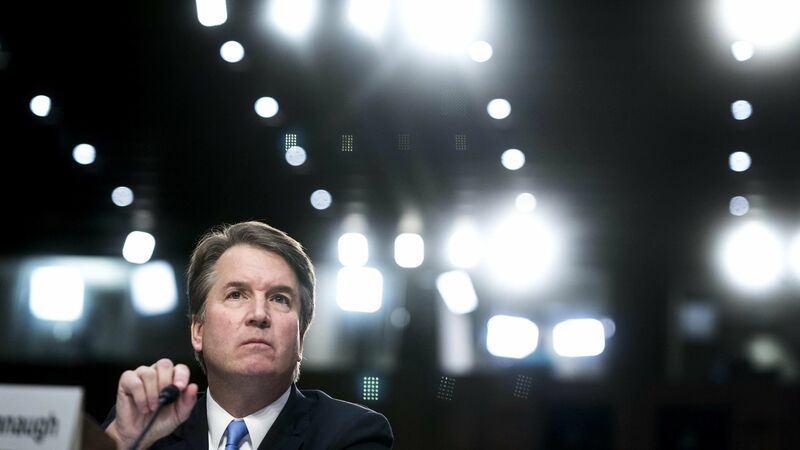 They signaled potential lines of attack: the accuser's Democratic political background, lapses in her memory and the accounts of the 65 women who've known Kavanaugh since high school who've vouched for his character. But now Senate Judiciary Committee Chairman Chuck Grassley is working to schedule follow-up calls with Kavanaugh and Ford, per WashPost's Seung Min Kim. I've also contacted spokespeople for the swing-vote Republican senators Susan Collins and Lisa Murkowski to see if the allegations have changed their voting intentions. I hadn't heard back by deadline.